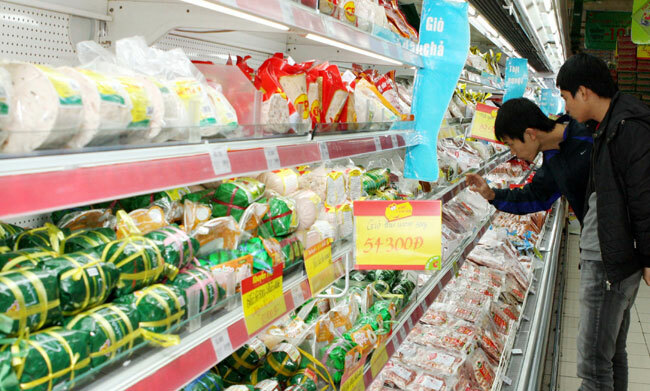 HA NOI (VNS)— The country's consumer price index (CPI) in March dropped 0.44 per cent against the previous month, the lowest level for the past decade. However, March CPI still rose 0.8 per cent over December 2013. According to the Director of the General Statistics Office (GSO)'s CPI Department Nguyen Duc Thang, March's CPI slide was due to the sharp decline in consumption demand after the country's most important holiday of the Lunar New Year in February. Thang added that the local consumers also cut their spending due to economic difficulties and stagnant production. The cost of some of the 11 items used to calculate the CPI fell in March or inched up only slightly, GSO reported. The prices of food and foodstuff posted the highest fall of 0.06 per cent this month. Housing and construction materials (including rent, electricity, water, fuel and construction materials) came second with a decline of 0.74 per cent. The prices of traffic services postal services and telecommunication fell by 0.03 per cent, the data showed. In the same month, the prices of beverages and tobacco reported the highest price hike of 0.24 per cent, followed by the prices of household appliances and goods with a hike of 0.16 per cent. The cost of other items, including culture, entertainment and tourism; medicine and health care; garment, footwear and hats, and education inched up between 0.03 and 0.10 per cent only. In the urban areas, the March CPI decreased by 0.41 per cent and in rural areas by 0.45 per cent. This month's CPI fall does not surprise observers as some experts had forecast it after Ha Noi, HCM City and some other cities reported a fall in CPI in March.